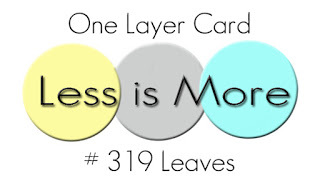 It's the dreaded one layer card over at Less is More - the theme for this week's challenge is 'leaves.' I always struggle with a one layer card - they really should be the easiest cards to make but I think the fact I can't cover up any mistakes with a few layers makes me nervous. I used Waltzingmouse's Simple Sprig for my clean and simple card with a sentiment from Big Day Today. So fresh and beautiful Claire! I love this Waltzingmouse set, Claire....I must dig it out! 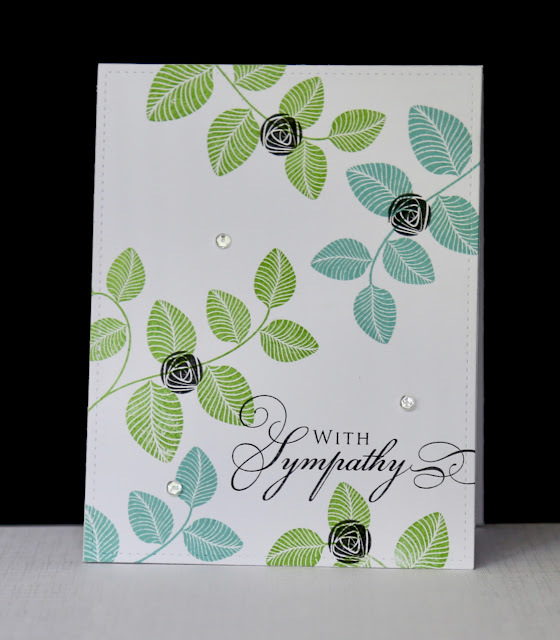 The variation of greens and striking black florals creates an elegant design. No mistakes to cover up here :) Thank you for playing along with us at Less is More! Claire, I love this stamp set and I love your gorgeous CAS card. Very beautiful! Wonderful leaf stamp + love the touches of black! Very good layout too, this is one layer perfection! so soft and pretty - beautiful card. 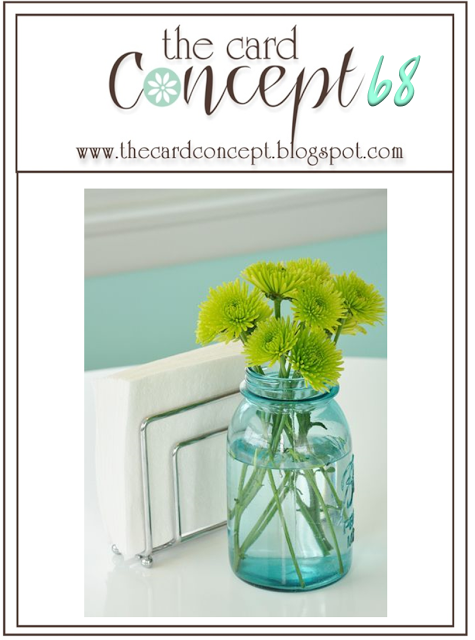 Thanks for joining us this week at The Card Concept. Beautiful card. i've got that stamp set, never thought to use it!